Written by Dave Clark on April 2nd, 2019 . 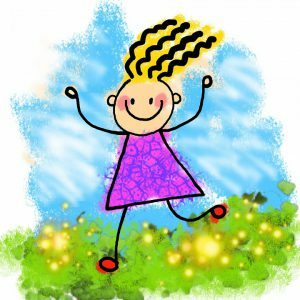 The fun starts at 5:00 p.m. with the Kids 1 Mile Fun Run for ages 4 through fifteen. Get your child registered by April 18th. 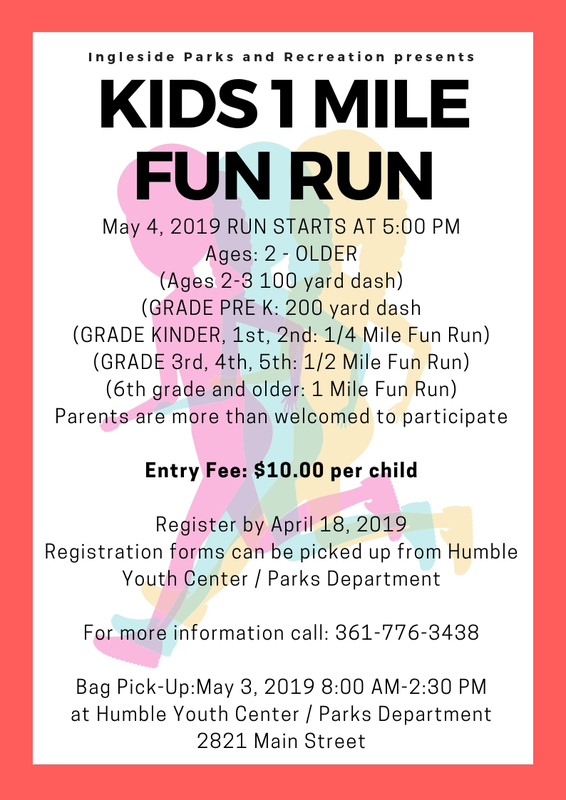 For more information on the Kids 1 Mile Fun Run, click here. 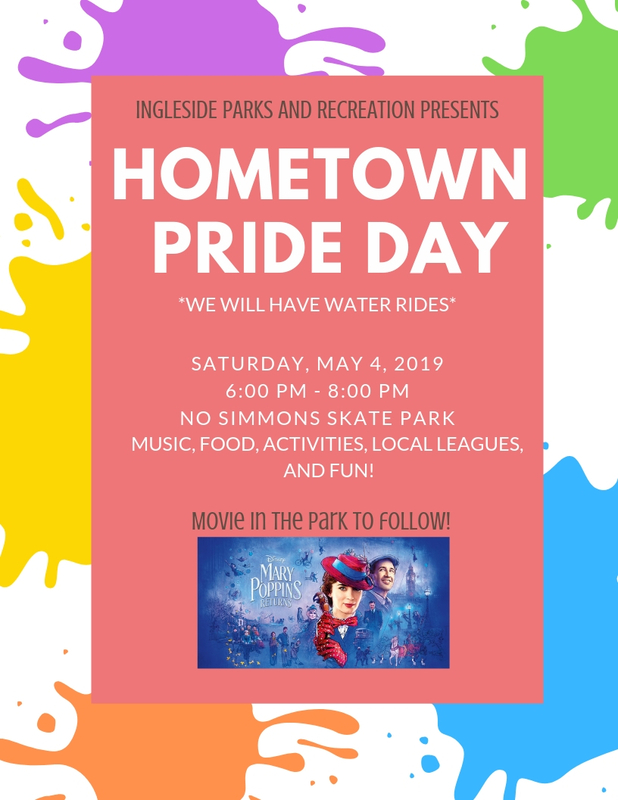 Then it’s Ingleside Hometown Pride Day from 6:00 p.m. to 8:00 p.m. with music, face painting, food, activities and water rides! For more information on the Ingleside Hometown Pride Day, click here. Following that, it’s the first free Movie In The Park for this summer. The movie is Disney’s Mary Poppins Returns and it starts at dusk. Bring chairs, blankets and bug spray. Concessions will be available.